Google algorithm updates heavily impact roofing companies. After all, where your website ranks on search results determines how many leads you generate each week, month, and year. If an algorithm update knocks your ranking down several spots, it can leave a major mark on your sales report. Conversely, algorithm updates that give your website a boost reward you with more leads and hopefully; more sales. The bottom line is your bottom line and how it’s impacted by these algorithmic changes. 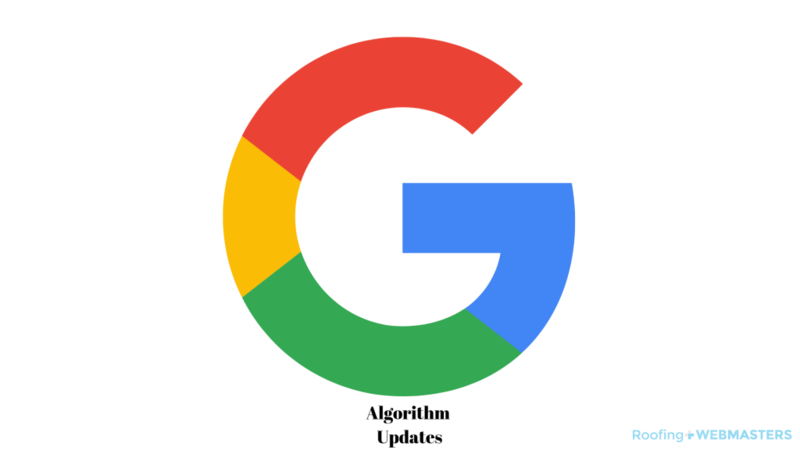 What is a Google Algorithm Update? An algorithm update is a change to the core methodology of Google’s search ranking process. This process is highly intuitive and involves the mathematical processing of large groups of data. In simpler terms, an update changes the way Google determines the ranking of websites which can manifest as either subtle or clearly evident. Most online leads will come from Google in some form or fashion. Not only is there the opportunity to rank on traditional organic results but also on Google Maps and other SERP Features. For roofing companies marketing online, the SEO process is a bottom line business. Google is your pathway to new clients and increased sales revenue in 2019 and beyond. Most roofers today would not be able to sustain their business without leads from Google. Even business directories have become less valuable over time. Following the recommended protocol set forth by the search engine is common sense for roofing contractors. While other search engines exist, such as Bing and Yahoo, they make up a combined less than 5% of the search market. Don’t fool yourself into believing that any search engine other than Google is worth much of your time. It certainly doesn’t hurt to rank high on Bing, Yahoo, or elsewhere, but it is not going to impact your bottom line. Updated on March 5, 2019 at 5:35 pm by Roofing Webmasters.